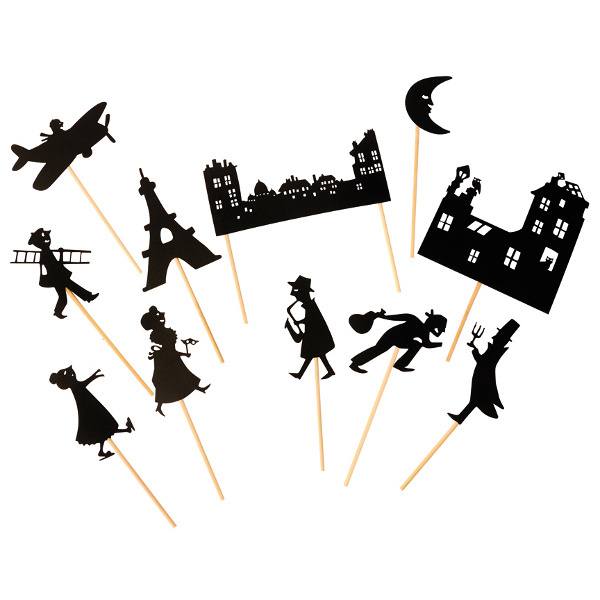 Bring storytime to new heights with our charmingly unique Paris Shadow Puppets designed in France. With a simple flashlight or lamp and a little imagination, children can create endless new adventures with these sturdy shadow puppets. Comes with 11 figures including the Eiffel Tower, moon, airplane, chimney cleaner, thief, buildings, sleepwalker, and more. Of course, since these shadow puppets are laser cut cardboard attached to wooden sticks, you could always make your own shadow puppets instead. Is there a way to subscribe to this site via email as I am not on Facebook, Twitter etc. Suzanne, I’m working on adding an email list. In the meantime, if you use RSS feed, you can click here: http://www.savvyhousekeeping.com/feed/ and subscribe. The site is updated Monday through Friday at 8 a.m. PST.